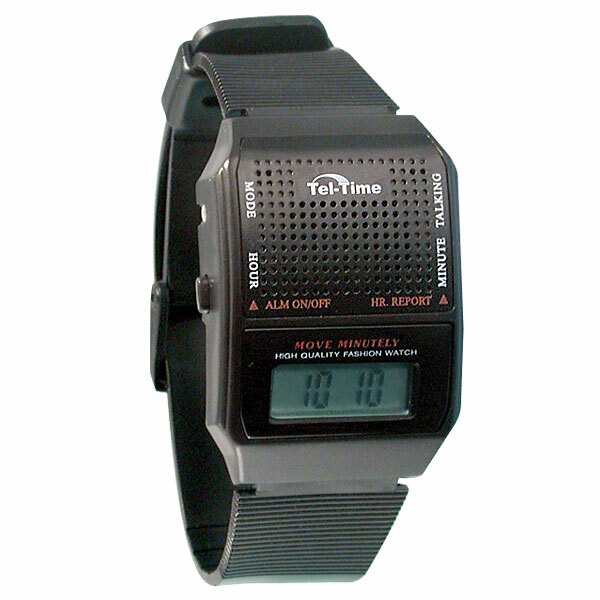 This Tel-Time VII Talking Watch announces the time in a clear female Italian voice at the press of a button and can be set to report the time hourly (This function can be turned off if not wanted.) Time is also displayed on the 1/4" x 3/4" LCD. Other features include a rooster crow alarm, which sounds for 60 seconds. The snooze alarm may be activated to repeat the alarm every 5 minutes, up to three times. 24-hour (military time) mode. 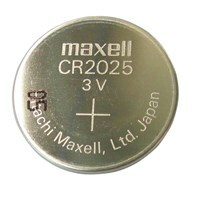 Uses one CR2025 Lithium cell battery (included). Plastic case with stainless steel back. Rubberized plastic band. Color: Silver. Watch case measures approx. 1-3/8" x 1-7/8"
Product Weight (with battery installed): 1.1 oz. Weight in Original Packaging: 2.3 oz. I bought this watch for my grandmother who is low vision. The set up for this watch was quite simple. The voice was clear. The only issue was that setting the alarm was easy to do by accident. The talk and set alarm (minutes) buttons are close.